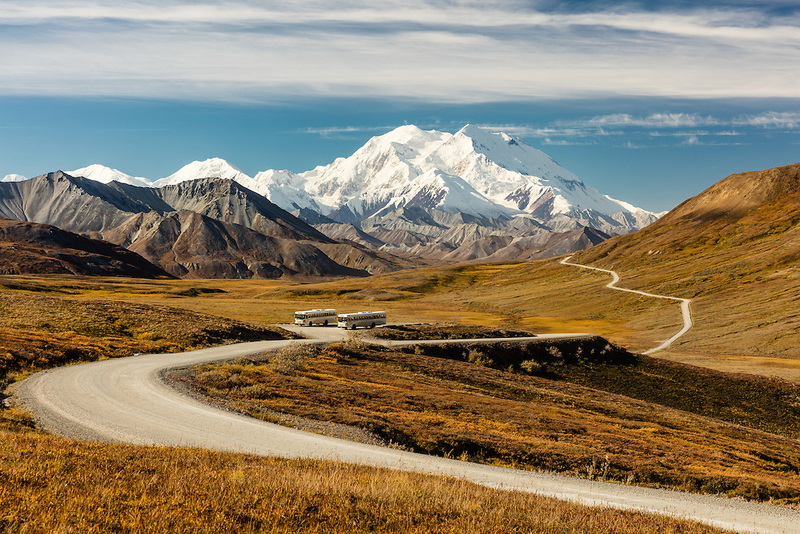 Tour buses at Stony Hill Overlook of Denali in Denali National Park in Interior Alaska. Autumn. Morning.